The University of Southampton has consolidated its position in the top 15 universities in the UK with excellent performances in the country’s latest league tables. Southampton is now 14th in both the Complete University Guide and the Guardian University Guide, scoring two number one ratings for Electrical & Electronic Engineering, and Media & Film Studies in The Guardian. Once again this year, Southampton remains in the top 10 within all five of the Guide’s engineering subject lists with Aeronautical & Manufacturing, Civil, Electrical & Electronic and Mechanical Engineering all featuring in the top 10 every year since the Complete University Guide was first published in 2008. Click here to read the full results of the 2016 Complete University Guide. Southampton’s rise of five places in the Guardian University Guide coincides with the University’s return to the top spot for Electrical & Electronic Engineering marking the eight time in 11 years the University has led that particular subject table. 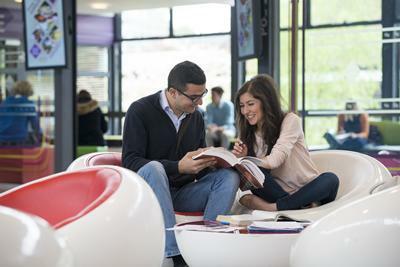 Southampton climbed from 9 last year to claim the top spot for Media & Film Studies. Mechanical Engineering has featured in the top 10 within the Guide for 11 consecutive years and the University has featured in the top 10 for Computer Science & Information Systems for 10 successive years. Click here to access the full 2016 Guardian University Guide.